There was a great turn out for Paul Nixon's webinar, Slaughter on the Somme: Finding and interpreting World War 1 records. We had some great questions in during the live Q&A;, so we rounded up some of the best to help you with your World War 1 research. 1. Did my ancestor fight in the Battle of the Somme? Have a look in our World War 1 records and you may find them in our records. 2. I can't find my ancestors in the military records. What now? 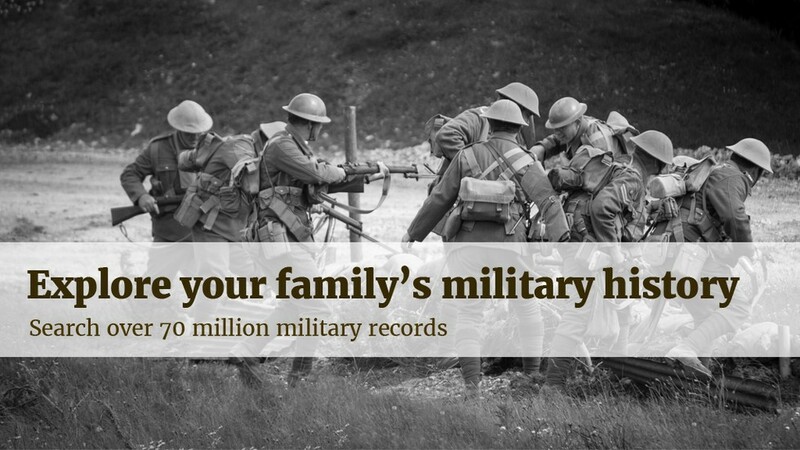 You may have a lot of information on your ancestor's military career, such as their soldier number or regiment. However, you should always start your search as broad as possible and then narrow down. Often, starting with just a name with both "Name Variants" boxes ticked is a good place to start. 3. Where can I find information on Commonwealth soldiers involved in the Battle of the Somme? Start with the list of divisions that took part and then break down the component parts to see which units formed those divisions. Martin Middlebrook's The First Day on the Somme will give you the answer, but you should be easily able to find that online via a Google search. 4. I have all my grandfather's original military documents, how do I find out where he was actually stationed and when? Our collection of British Army Service Records will probably be your best bet. They should reveal where he was stationed and when. A number were destroyed by a fire in 1940 though. 5. There are lots of people with similar names to my ancestor in the military records. How do I find out which one is right? It's just a case of narrowing down where he signed up or where he lived, cross-referencing with any other records you have. You could try seeing if you can find any information in our historic newspapers, which often include information on local soldiers. 6. My father was injured at the Somme and was repatriated to England. How can I trace his medical record? His service records may will include that information. Many of our British Army Service Records include medical reports, sometimes including all the injuries a soldier received and the hospitals he was treated at. 7. I still can't find my British Army ancestor. A significant portion (about 60%) of British Army Service Records were destroyed in a fire after bombing in 1940. It could be that your ancestor's record was in these "burnt records". Remember, a record keeper may well have misheard a recruit, so always try doing a "wildcard" search to check for similar names. Want to find out more about searching our records? Take a look at the Expert Tips section of our blog.